The Mark Degree is the third largest and one of the most popular degrees in Freemasonry containing some 1500 Mark Lodges in the English Constitution with Essex being one of the largest Provinces. Details of Essex Lodges are shown on this site and included in the Essex Masonic Year Book which is also on the Members Only section on this site. 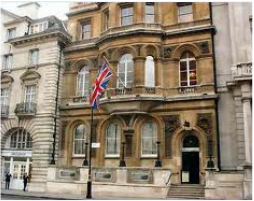 The Order is governed from Mark Masons' Hall, 86 St James's Street, London SW1A 1PL and ruled by the Grand Master, HRH Prince Michael of Kent. The Degree is known as "the friendly degree" and all Master Masons are eligible and encouraged to join.The Degree is slightly less formal than The Craft and there is no doubt that among Mark Master Masons you will ever find friends. Similarly to Craft Freemasonry, the Mark Degree conveys moral and ethical lessons using a ritualized allegory based around the building of King Solomon's Temple prior to the death of it's principle architect, Hiram Abif. Initiation into the Mark Degree is termed as “Advancement” and, in a chronological sense, the ceremony follows that of the Fellow Craft Degree. As it is worked today the Mark ritual actually covers two Degrees – the candidate first being "acknowledged" as a Mark Man and then being “Advanced” as a Mark Master Mason. 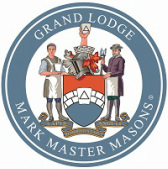 The Mark Degree is only one of two Masonic Orders to deal with actual stonemasons working and the Ceremony of Advancement follows the fate of an ambitious Fellow Craft seeking promotion in his trade by demonstrating his skill and ability. Masonic tradition informs us that, at the building of King Solomon’s Temple, every Mason was provided with a mark peculiar to himself, which he placed upon his work in order to distinguish it from that of his fellows. By the aid of these marks the Overseers (or Mark Masters) were able to trace any defective work to the workman concerned. In the early part of the ceremony the candidate’s talents go unrecognised and his hopes are dashed but eventually he triumphs over adversity and is justly rewarded for his work. The concept of Masons as “living stones” being built into a spiritual house, in parallel with the construction of the temple, is a powerful theme in The Degree. It is a wonderful ceremony containing elements of drama and humour, and, above all, strong moral lessons. If you are a Master Mason and interested in joining then please make contact with a local Mark Lodge Secretary (a list of Lodges and venues is on the next tab) or download the form and contact the Provincial Secretary via the contact form below, who will be pleased to arrange for that contact to be made. Candidates for Initiation into The Royal Ark Mariner Degree are termed as being 'Elevated' and this ceremony is based on the story of events before, during and after the Biblical Flood when Noah at the request of God built an Ark for the preservation of his family and all the known living creatures. All Mark Master Masons are eligible and encouraged to join this colourful and enjoyable degree characterized by its rainbow aprons and jewels. The symbol of The Degree is the Equilateral Triangle and the points represent Wisdom, Strength and Beauty whilst the Five Cardinal Virtues characteristic of Masonry: Watchfulness, Discretion, Brotherly Love, Truth and Charity are illustrated. Whilst the historic prerequisite to become a Royal Ark Mariner is to be a Mark Master Ma﻿son, and all are encouraged to join this colourful and enjoyable degree, the degree, however, has no connection symbolically or otherwise to the Mark Degree. The regalia and ritual are entirely different and, if you are fortunate to hear a presentation of the Tracing Board, you will realise that this is truly an ancient degree. All Royal Ark Mariner Lodges must be moored to a Mark Lodge and bear the same Lodge number but need not bear the same name or meet on the same occasion. If you are a Mark Master Mason and interested in joining RAM, then please make contact with a local Lodge Secretary or download the form and contact the Provincial Executive via the email button above and right of the banner who will be pleased to arrange for that contact to be made.